It’s time to redraw the lines with DIGITAL. Limited only by logistics and imagination, the future business ecosystems will no longer be restricted by borders, barriers and beauracracy. The markets of the future are networks. Through the digital medium, new networks are being formed around interests, professions, etc., any common thread that that can form the backbone of a community. It’s no longer just about where you are from or what your passport says about you. It’s about the deeper characteristics, the elements that form your true self nature. 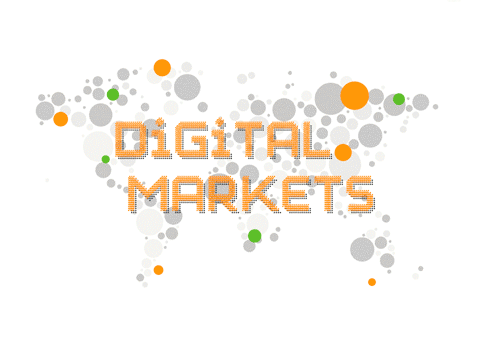 Consequently, the way that markets function needs to be rethought around the DIGITAL medium. If strong community hubs that have millions of members form with a globally dispersed audience, then those ‘networks’ may be more lucrative to target than any country or specific place based around geography. how do they interact within the network? what can we provide to help them in their journey? With the right approach to DIGITAL Markets, and a few creative DIGITAL Moves from the InterConnected Strategy, companies can look beyond blue oceans and test the limits of borderless global markets. How do you approach the emerging digital markets?